I have been remiss on these video posts! These are the easiest posts I make! 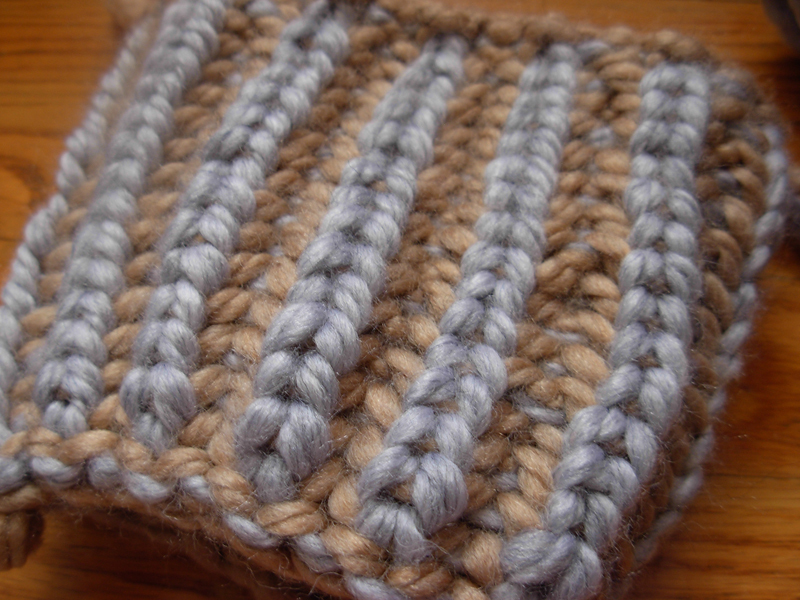 Two-colour brioche stitch on the round loom! I tried out the brioche stitch, and I absolutely love it. Every time I see using two colours in a project, I immediately turn all nerdy and think about how great it would look if I knit it in Harry Potter colours (blue and bronze for me - GO RAVENCLAW! ), and I see myself getting broke in the near future. Kristen (GoodKnitKisses) always has good stuff! When I was starting out (and when I'm experimenting), I go back to a lot of her videos! This is such a chic scarf! Too bad it's springtime; I have no motivation to knit any warm scarves yet. Anyway, visit her on youtube to find all her other knitting stuff if you haven't already! I am so excited for this video! 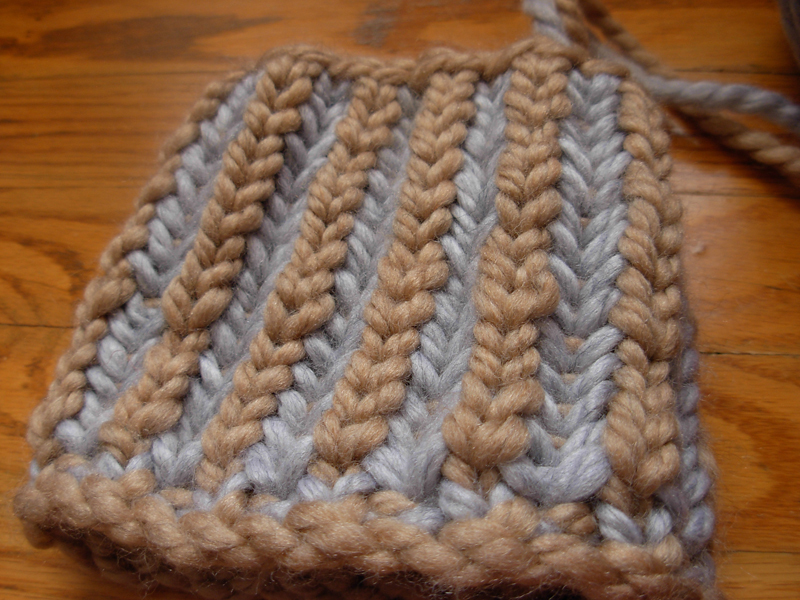 I've been contemplating doing this stitch for a while, and didn't even realize it was called the brioche stitch. It's an awesome stitch! I am so glad Maria showed it! This video needs more hits. It's quite long, and it doesn't have to be, but she also gives instructions in Spanish too. Just cast-on loosely and then watch her do the first 3-4 rows and you'll be fine! You can do this for flat-panels, and with only one colour too. Slip with yarn in front (sl wyif)! 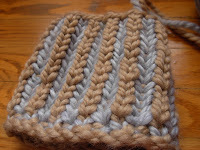 I did it for the woven herringbone stitch a few weeks ago. It's definitely a good technique to know. She does it succinctly, which is great!